The series started when a teenage boy named Ra’Nell is forced to start working for the drug gang when his mother is sent away to a mental hospital. The series also depicts the rise of drug lords Dushane and Sully, friends, partners, and occasional rivals. The series was well received at the time, depicting as it does a seamier side of Great Britain not often seen and managing to convey a sense of morality and consequences for some of the bad choices of its characters without being preachy. The episodes of each season consistently attracted a million or so viewers. The third season will start some years after the second and will begin with the return of Dushane to his old haunts in East London from a place of exile. He will be joined by Sully. A new gang leader named Jamie awaits them. Jamie is in no mood to suffer the sort of competition for business that Dushane and Sully represent. Mayhem and murder are likely to ensue. Drake is seeking to expand his film and television empire. He is currently working on a documentary film, “The Carter Effect,” that tells the story of former NBA star Vince Carter. The movie was recently screened at the Toronto Film Festival. Drake, who hails from Canada, first caught the original series on YouTube and fell in love with it. He was especially taken by its depiction of London as a city that can be at once beautiful and dangerous, a nonhuman character in the series. 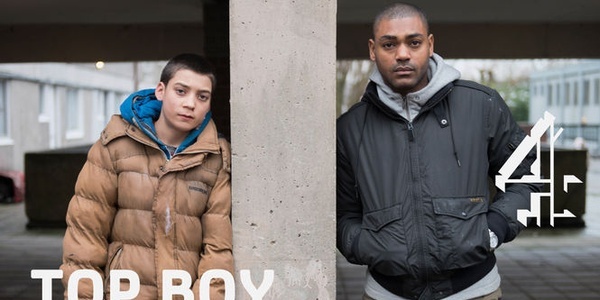 He bought the production rights for “Top Boy” and has been working ever since to find a home for it and restart production. Season Three of “Top Boy” will consist of ten episodes and will drop on Netflix sometime in 2019.